Marilyn Vine’s Anti Aging page provides information on how to reverse your age by increasing the length of your telomeres. How to look after your skin and your health by using Sisel safe skin care products and avoiding harmful ingredients and much more. Sisel’s products contain a SiselSafe® Promise. Listen to the family speak on how this all evolved. Marilyn suggest that you click the link above and see just how many different chemicals you may be unknowingly absorbing. Perhaps you might like to check out the anti aging beauty products at this link. NaturalNews dated 14 June 2017 has written an article on a company whose claim is that their products are mercury free and it has been found that they contain 20,000 times more mercury than the level considered to be safe! Check the article out here for this and other information that has been revealed. Sisel has combined the powers of nature with the innovations of science to bring you the finest skin care regimen in anti aging. With the contents of the Timeless Skin Renewal System, younger looking and smoother skin can be yours in a matter of weeks. With this skin care system, all aspects of your skin are thoroughly addressed, in turn giving you youthful skin filled with vitality. By clicking the above links you can learn more about using these products. Any of the links will enable you to purchase any of the products or for that matter all of the products that catch your fancy. To purchase this fantastic product click this link. SISEL has released a brand-new product, Vanquish. Vanquish is a skin smoothing eye cream containing 14 active ingredients. It has powerful peptide to target crow’s feet and wrinkles and to assist in reducing the appearance of eye bags and dark circles. Hear Tom Mower Sr speak about the science behind this product. Listen to Tom Sr the Founder of Sisel International speak on telomeres and his product TS-X and Resveratrol. To learn more about Resveratrol click this link. NaturalNews on 8 October 2013 brings information on cancer causing chemicals in shampoos and personal care products. I would go even further and say household products. I urge you to read the article and then check out a Sisel Safe Shampoo and Sisel Safe Conditioner. 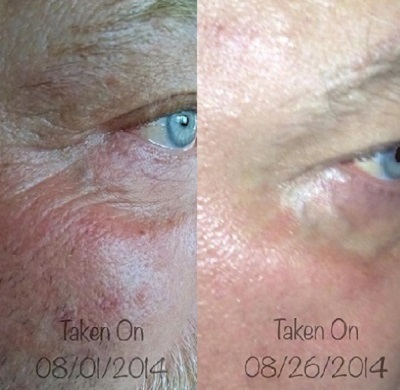 Reverse aging through anti aging science using cellular regeneration for age management. Do you think this new technology might interest you? Then please click on this link and learn about this new concept. I have been using Sisel’s shampoos since 2007 and my hair is in fabulous condition. NB I am an independent Sisel Distributor and my name is Marilyn Vine and my ID number is 10146519. This surprised me as I have only ever thought about MSM with regards to joint health. Click on this link and read the NaturalNews article. Dr Mercola provides information on 22 December 2012 that suggest the most important social factor predicting longevity is not your income, nor your race, nor whether you have health insurance – the most important predictive factor is your education. Marilyn Vine continually through this healthymoneyvine website requests people to do their own research, use their own common sense and to make sure that the foods and personal care products that they personally use for them and their families do not contain harmful ingredients. Two very important factors in my own personal opinion are doing your own research (and not from government sources) on fluoridation and vaccination. This website has a great many pages and articles to help you in this regard. David Kekich, founder of the Maximum Life Foundation, recommends the following seven steps to increase the quality and quantity of your life. I personally don’t feel the necessity to see an anti aging physician as I keep very good health and am now in my 76th years, BUT I do research and read incessantly and learn how to help myself. On this website I have pages on good quality supplements, pages on ingredients from these supplements and even a page which will allow you to obtain these supplements to help you to pay for them. Click on the links below to see more. Click into "obtain these supplements" to see the opportunity. This is a totally new concept in the use of night creams and goes beyond “plumping” up the skin to make it look good! Rapid Repair™ does replenish moisture in the skin, but it takes a revolutionary approach to skin as this potent formula works on over-coming the environmental factors that causes the skin to age. These statements have not been evaluated by the Food and Drug Administration. Click on the link and see what they have to say in this regard. Assisting in the battle against aging! Most of us are eagerly looking for anti aging protocols and wouldn’t it be wonderful to think you may have found one by being able to just put two patches on your leg each morning! I guess you are asking what a teleomere is? The name comes from the Greek meaning “end” and “part”. A telomere is part of our DNA system and is found at the end of chromosomes. A study published by Acupuncture and Electro-Therapeutics Research found that the people who had high telomere lengths seemed to be in much better physical and mental health! Did you know that the cell aging process, a lead contributor in the physical signs of aging, is linked to telomere lengths? Telomeres are the bookends of our chromosomal DNA. They keep the chromosome protected by acting as a cap. Most people don’t realize that these gene parts play a very important role in our aging process. For more information on Telomeres click this link. There is so much we can do to help ourselves in our bid to achieve anti aging. We can ensure that we are eating the right foods, organic is best and we advised to eat 80 percent of our vegetables raw and organic. Because soils are often minerally deficient it is important that we take good quality supplements. Mineral supplementation should be in a liquid form in order for the body to gain the best assimilation. I have been taught to take a liquid mineral supplement about 10-15 minutes before I eat and this helps my body in the assimilation of the food I eat. Today with the many “hidden” ingredients contained in our food, nutritional supplements and personal care products it is important that we purchase these items from trusted sources. I am finding that my home based business MLM’s are giving me the most reliable products that actually work! For more information on some of the companies that I purchase from please click the link. Please do not hesitate to contact me in the email form below if you would like further anti aging information.